In the last 50 years the tiger population in Asia has plummeted from 100,000 to about 5,000. The number of tigers is dangerously low, and the conservation of the world's remaining tigers is of global concern. 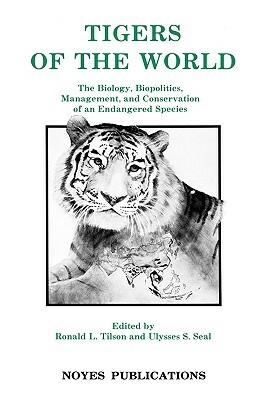 Now, in this volume, 40 world authorities on tigers from Asia, Europe, and North America have summarized and identified the management, conservation, and research needs for this endangered species. A new discipline conservation biology is emerging and this book is an early contribution. It spans and unites theory, laboratory, and field studies with management practices of both the wild and captive populations. The book is based on the international symposium held in Minnesota, discusses the tiger's systematics and taxonomy, its status both in the wild and captivity, reproductive biology, and management and conservation strategies. In addition, an entire section is devoted to a discussion of the white tiger. The tigers of Indonesia, Nepal, Siberia, and China, as well as captive tigers are discussed. Finally, the information in this book places real numbers on the remaining tiger populations, their habitat that is protected, and probabilities of these populations surviving an extinction.